Our rabbis of blessed memory teach us that "one who saves a life, it is as if he has saved an entire world." Indeed, speaking out against flagrant injustices and pursuing righteousness at all costs is a precept that is at the core of our deeply held beliefs. Throughout the long and often traumatic history of the Jewish people, there have always been a miniscule cadre who, despite the inherent threat to their livelihoods and even their own lives, managed to summon up the moral strength and fortitude to raise their voices in outrage and indignation in response to the egregious and often heinous actions of our tormentors. These people, both Jew and Gentile alike were honored for their courageous actions at the Sixth Annual Conference of the David S. Wyman Institute for Holocaust Studies, held at the Fordham University School of Law in Manhattan. This year's conference reflected this theme as it was billed, "They Spoke Out: American Voices for Rescue from the Holocaust" and featured those obscure and unsung heroes who hitherto were barely recognized, even as minor historical footnotes. The morning session was dedicated to the recent ground breaking research conducted by Dr. Rafael Medoff, renowned Holocaust historian, prolific author and director of the David S. Wyman Institute for Holocaust Studies. Dr. Medoff's new book entitled, "Blowing the Whistle on Genocide: Josiah E. DuBois, Jr. and the Struggle for a U.S. Response to the Holocaust" (Purdue University Press) explores the role that a fairly anonymous US Treasury Department lawyer played in exposing the State Department's nefarious policies of impeding the rescue of European Jewry from the Nazi slaughterhouse. In 1943, DuBois, who was chief counsel for the Foreign Funds Control Division of the Treasury Department learned through surreptitious examination of documents provided to him by a friend within the State Department, that senior State Department officials had been deliberately obstructing opportunities to save the remnants of Europe's Jews. Consumed with fear that the rescue of significant numbers of Jews would put pressure on the United States to absorb them, the State Department purposely blocked a Jewish organization's request for a government license to send funds to help save Jews from Hitler's "Final Solution". DuBois was fully cognizant of the fact that should he decide to go head-to-head with the State Department on such a sensitive issue that he could make a lot of enemies in the process and potentially jeopardize his career. Despite the risks, he decided to blow the whistle. In an excerpt of a pivotal report authored by Josiah DuBois dated January 13, 1944 and sent to Treasury Secretary Henry Morgenthau, Jr, DuBois intones, "This government has for a long time maintained that its policy is to work out programs to save those Jews of Europe who could be saved. I am convinced on the basis of the information which is available to me that certain officials in our State Department, which is charged with carrying out this policy, have been guilty not only of gross procrastination and wilful failure to act, but even of wilful attempts to prevent action from being taken to rescue Jews from Hitler. Unless remedial steps of a drastic nature are taken, and taken immediately, I am certain that no effective action will be taken by this government to prevent the complete extermination of the Jews in German controlled Europe, and that this government will have to share for all time responsibility for this extermination." As a result of his tenacious efforts in bringing to the fore the egregious actions of the State Department, DuBois helped to bring into existence the War Refugee Board which was the US government rescue agency dedicated to overseeing the plight of European Jewry. In addition to assuming a leadership role in the War Refugee Board, subsequent to World War II, DuBois became a prosecutor at the Nuremberg Trials. During his remarks, Dr. Medoff contrasted DuBois and President Roosevelt as two symbols "of the tragic history of America’s response to the Holocaust." Concerning President Franklin D. Roosevelt, Dr. Medoff said, "Here is the president who was regarded as a humanitarian, who portrayed himself as the champion of the little man, who had the power to save many Jews from the Holocaust but who -- to quote Fowler Harper, the Solicitor General for the Interior Department in the 1940s-- 'would not lift a finger' to help them". With more than a bit of cynicism Dr. Medoff added, "His was the administration that kept the immigration quotas 90% under-filled --meaning it could have saved 190,000 Jews under the existing quotas, without changing the immigration laws. His was the administration that sent planes to bomb German oil factories less than five miles from the gas chambers of Auschwitz, but refused to instruct them to drop bombs on the gas chambers, or the railway lines, even after receiving maps and detailed information about what was happening in the camp. His was the administration that refused to pressure the British to open the gates of Palestine so Jews could find refuge there." As to attorney DuBois, Medoff said, "he was FDR's moral opposite. Here was the little, anonymous Treasury Department attorney who learned about the Holocaust by accident, who could have easily turned away, who could have concluded that it was none of his business, who certainly could have backed off once he started receiving threats. Yet here was the man of conscience who would not be silent, who defied his threats and risked his career in order to force President Roosevelt to finally rescue some Jews before it was too late." Also addressing the audience of over 350 people were Dr. David S.Wyman, founder of the Wyman Institute, Professor Emeritus of history at the University of Massachusetts at Amherst and chairman of the Judaic Studies department. Dr. Wyman, a grandson of two Protestant ministers is the author of "The Abandonment of the Jews: America and the Holocaust, 1941-1945. Dr. Wyman spoke of the "courageous sleuthing" done by DuBois and his findings of a $70,000 donation collected by a Jewish organization that never reached its destination in Europe for rescue activities of Jews because the State Department "dragged its heels and incessantly set up barricades to prevent these funds from reaching those who could have saved Jewish lives". The afternoon session was entitled, "Shaking the Conscience of American Jewry: The Rabbinical Students who Challenged Jewish Leaders to Push Forcefully for Holocaust Rescue". The whirlwind of activism generated by three Jewish Theological Seminary students; Noah Golinkin, Jerome Lipnick and Moshe "Buddy" Sachs during the Holocaust years was discussed in great depth by Golinkin's son, Rabbi Prof. David Golinkin, Lipnick's son, Rabbi Jonathan Lipnick and Michael Zion spoke of Buddy Sachs' contributions. 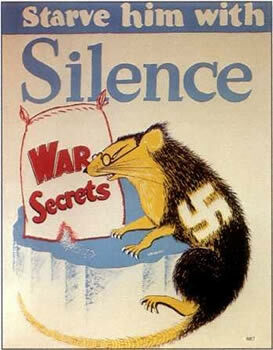 In late 1942, the news of Hitler's genocide had been publicly confirmed, yet the Roosevelt administration insisted nothing could be done to help the Jews, except to win the war. These three JTS students vehemently disagreed with this hypothesis and established a student action committee to publicize the news from Europe and prod Jewish leaders to adopt a more activist approach. Dissatisfied with what they perceived as the lethargic response of mainstream Jewish organizations to the persecution of European Jewry, the students organized seminary conferences that featured an array of refugee and relief experts, among them the heroic Varian Fry, who during 1940 had defied the State Department and personally rescued refugees trapped in Vichy France. In a February 1943 article in a publication called The Reconstructionist, Golinkin, Lipnick and Sachs wrote; "What have the rabbis and leaders done to arouse themselves and their communities to the demands of the hour? What have they undertaken to awaken the conscience of the American people?" Rabbi David Golinkin said of his father, "When he read a November 1942 report in the New York Times announcing that two million Jews were already murdered in Europe he made it his mission to arouse the conscientious of the American people to prevent the slaughter of the remaining four million Jews." Despite the disunity amongst Jewish organizations during those years and the blatant animus towards student activists by such mainstream Jewish leaders as Stephen Wise who feared that Jewish emigration to the United States would cause anti-Semitism, the students persisted in their campaign. Eventually, their most significant impact was on the Synagogue Council of America who organized rallies, demonstrations, prayer vigils and letter writing campaigns for European Jewry. The last part of the afternoon was spent listening to the words of television and screen actor, Steven Hill who is best known for his role in the NBC television drama, "Law and Order" where he played District Attorney Adam Schiff for ten seasons. Hill, (a returnee to Orthodox Judaism), now sports a beard and yarmulka and his words reflect his deep connection to his heritage and his people. One of Hill's first major acting roles was as Marlon Brando's understudy and as one of the soldiers in the pro-Zionist Broadway play, "A Flag is Born" written by Bergson group member and Hollywood playwright Ben Hecht which debuted in 1946. Hill spoke of this play as a "vehicle for my own increased Jewish identity" as well as "helping to raise the level of consciousness in the post-Holocaust era". The play opened on Broadway a year after the liberation of the concentration camps by the Allied forces and spoke directly to the three most paramount issues of its day: the fight to establish a Jewish state, the smuggling of Holocaust survivors to British controlled Palestine, and the battle against racial segregation in the United States. The play was not without intense controversy, as the characters' sharp criticism of British rule in Palestine aroused the ire of many in England. The London Evening Standard called it "the most virulent anti-British play ever staged in the United States". On these shores however, reviewers such as Walter Winchell said the play was "worth seeing, worth hearing, and worth remembering... it will wring your heart and eyes dry.. bring at least eleven handkerchiefs." Hill recalled Marlon Brando's powerful performance in the lead role, especially his lines excoriating American Jewry's response to the Holocaust, "which touched a nerve" said Hill. "You Jews of America!" Hill recalls Brando shouting during the play, "Where was your cry of rage that could have filled the world and stopped the fires?" Hill mentioned that Brando later commented that the accusation "sent chills through the audience."